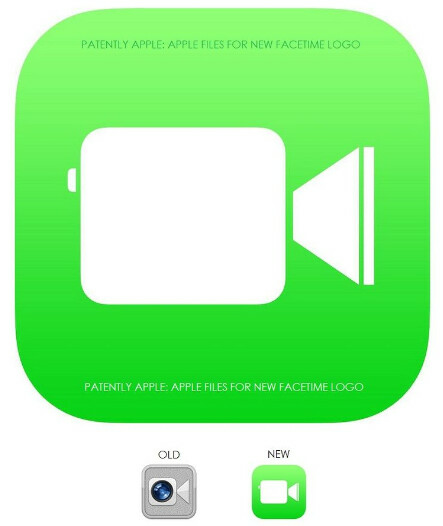 Apple has filed an application for a trademark covering the redesigned logo for FaceTime. This is the video chat feature on iOS devices that is enabled across both Wi-Fi and cellular. The new design clearly shows how Apple has gone away from the skeumorphic design favored by the late Steve Jobs and former iOS chief Scott Forstall. Where the old design showed a camera lens inside the outline of a video camera on a textured silver backdrop, the new design shows a video camera on a bright green background. Gone is the lens inside the camera, which had added that realism (along with the textured background) favored by Jobs and Forstall. The latter was removed from Apple's board for refusing to sign an apology letter after the failed launch of Apple Maps. 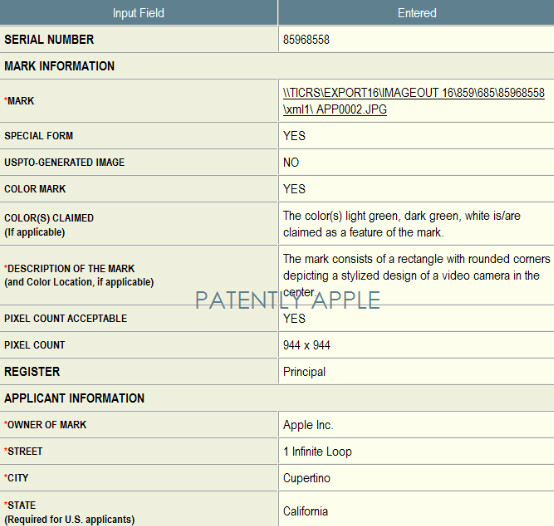 With the redesign of the UI for Apple's mobile OS, you can expect to see Cupertino sending a constant flow of new trademark requests to the USPTO. The iOS 7 update reflects the first time that Apple has revamped the UI since the OG Apple iPhone launched six years ago yesterday. The new icon designs are flatter, without the gloss used previously. They could trademark it like Tiffany and Co. has their hue of blue (Pantone No. 1837). Go home Apple, you're drunk! Apple Inc. is turning out to be more of a patent troll firm with all their stupid ideas. I guess the downfall is indicated in technological era like this, more of trolling less of innovation. Really, dude? You don't know the meaning of patent troll. Apple actually has a product with mentioned patent. How is that patent trolling? Anyway, I don't see why some would want to copy that ugly icon. i agree, that icon is soo ugly i dont even know what it is unless someone tells me. And there are many PATENTS that they have without a product (except of course for the paper on which they drew the drawings and wrote down essays on that drawing). So doesn't that fit into definition of a Patent troll? Apple is more of a Patent Troll now. I've never seen them assert a patent that wasn't used in the iPhone/iPad/Macs. It's always been pretty clear their patents have been defending their products. But since there's "many" surely you'd have some examples. Stylus pen is the perfect example. Really, dude? it's called skype long before facetime. Hurry Skype get a patent, a trademark and a copyright on your icon quick, like now!!! go, go, go!!! ... What color is that? Is it just me, or is that shade of green hideous? Boy iOS 7 and Apple are looking unappealing to me as we get closer to the (hopefully not delayed like iTunes) September launch. Let em patent this crap. Nobody else would even consider using something as ugly and horrid. Great what's next trademark the word Apple? Trademark away apple, everyone else is protect their IP, so should you. New trademark, I thought they had patented rectangle with round corners already.